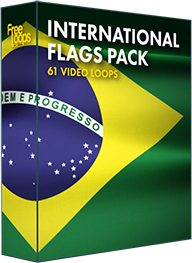 An endlessly repeating video loop of the national flag of Uruguay. The Uruguayan flag features the Sun of May, a national emblem. This video loop is ready for your big video screens, a video background ready for any kind of use.